Update the interior of your Fiat Bravo wit a A Set of Genuine Fiat Bravo Mats in Carpet. 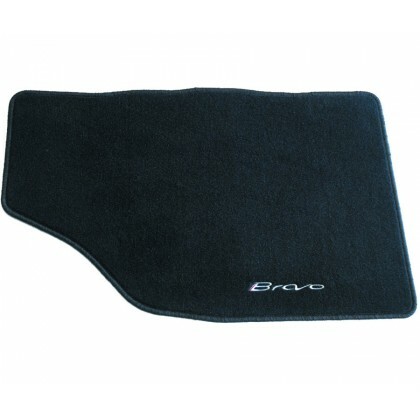 These Black Fiat Bravo Mats are personalised with the Bravo Logo. Protect the foot wells of your Fiat Bravo , as well as add style with these black carpet car mats made specifically for Fiat Bravo. Why Buy Genuine Fiat Bravo Mats? Are the Mats suitable for my Fiat Bravo? These Mats are suitable for the Fiat Bravo. If you are still unsure whether the Mats will fit your car then please email us with your Chassis Number.